After Hours Emergencies: Call the Main Number and wait until the message provides you with the on call supervisor's phone number. 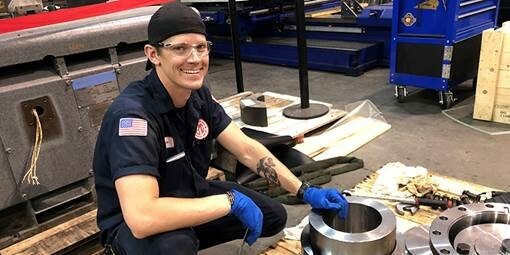 Babbitted Bearings presented by Fusion Babbitting Co.
EMC is pleased to have partnered with TCC on its first state-registered apprenticeship program. Check out our recent feature in TCC Today, which showcases our first class of inside machinist apprentices. Join EMC at WEFTEC 2018 in New Orleans, LA September 29-October 3, at Booth #2254. For additional information, please visit WEFTEC. Join EMC and the rest of the naval ship maintenance and modernization community at the 2018 Fleet Maintenance & Modernization Symposium in Virginia Beach, VA September 17-20, at Booth N17. For additional information, please visit American Society of Naval Engineers. 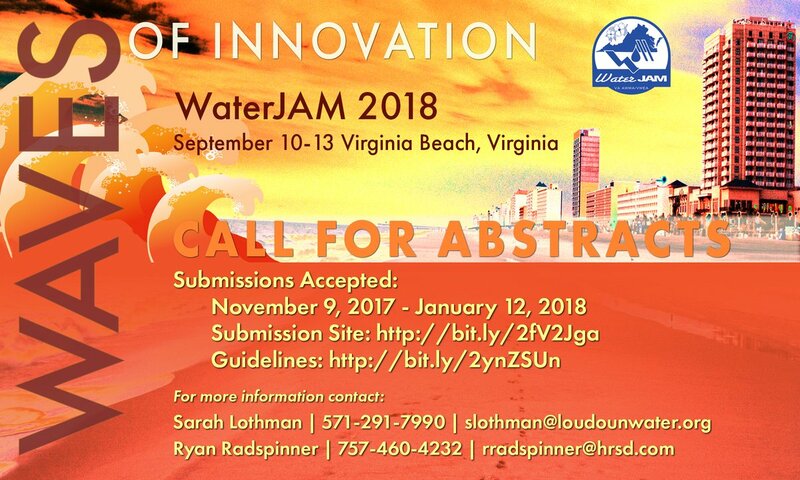 EMC would like to invite you to WaterJAM 2018 - the State Water and Wastewater conference of the year. Join us September 10-13 in Virginia Beach, VA at booth # 527. 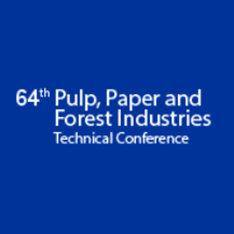 Join EMC at PPFIC in Appleton, WI June 17-21, at Booth #2. For additional information please visit PPFIC. Join EMC at AISTech 2018 in Philadelphia, PA on May 7-10, at Booth #3032. 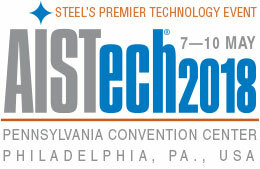 For additional information, please visit AISTech. 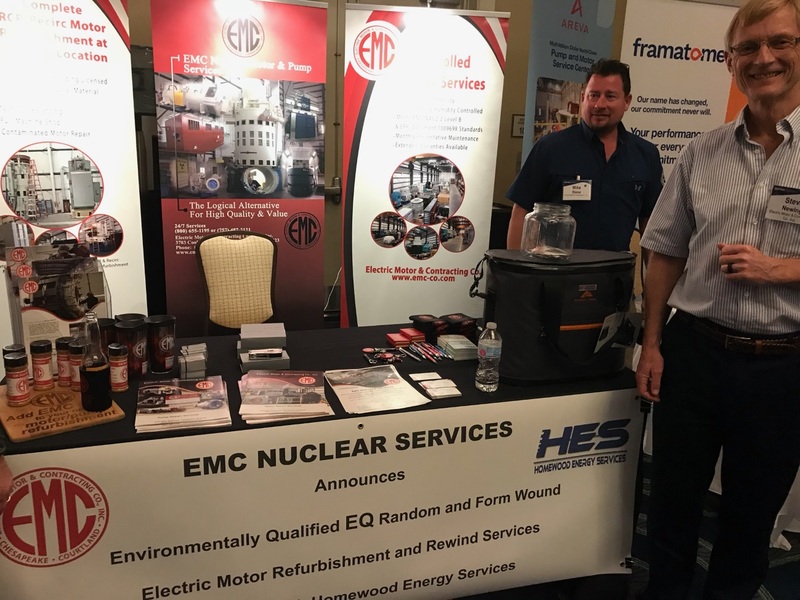 EMC announces new EQ service offering under our 10 CFR Appendix B program partnering with HES (Homewood Energy Services) at the recent Large Electric Motors Users Group conference in Orlando, Florida. EMC wins business of the year award. 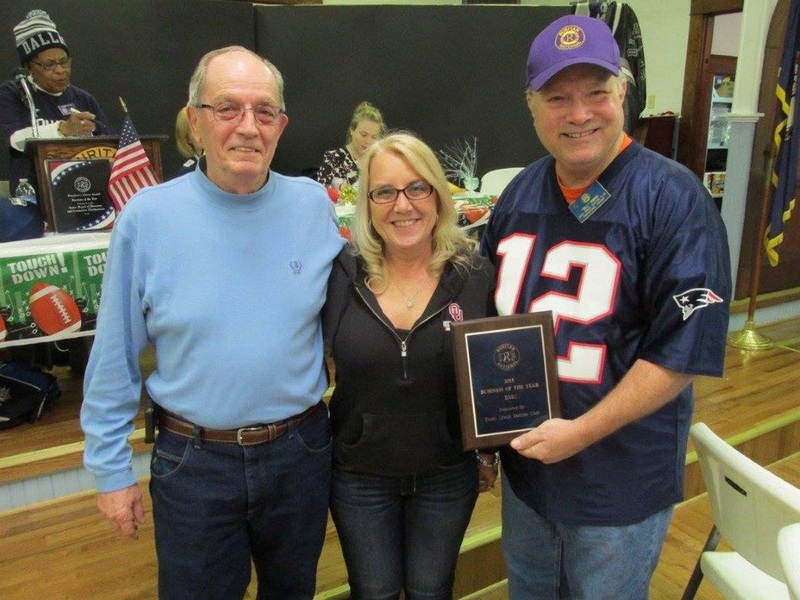 The Deep Creek Ruritan Club presents Electric Motor & Contracting 2015 Business of the Year. EMC has purchased, and is beginning to install and implement, WebDocs from RJS Software in Burnsville, MN. WebDocs is a browser-based document management system (DMS) designed to streamline business processes and eliminate paper by digitally managing, storing, and distributing business content. The format of the content can be traditional paper, audio, video, email, and other electronic content. The Courtland division is already up on the new system and testing it out while departments in the Chesapeake division are slated to come onboard in the upcoming months. EMC’s Chesapeake location has gone 365 days without a lost time accident. 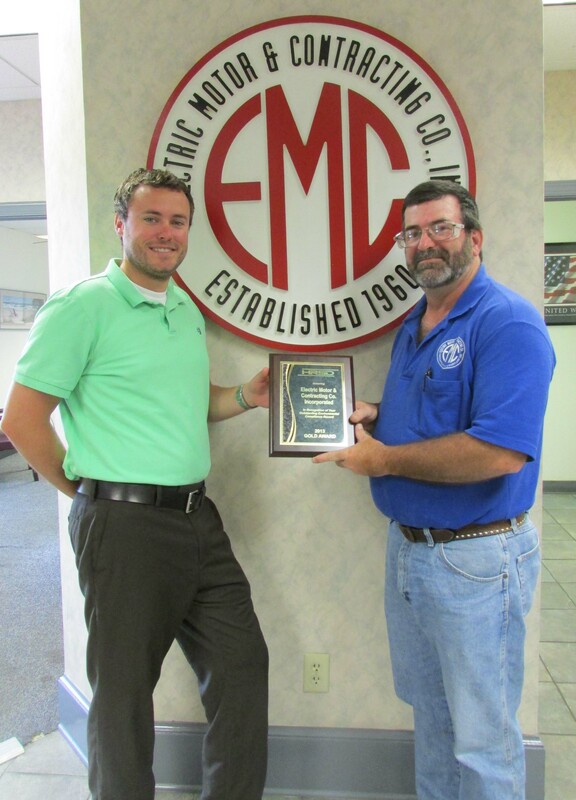 EMC's Courtland location has gone 1,000 days without a lost time accident. EMC is implementing the MPulse Maintenance Management software. MPulse is designed to help maintenance technicians and managers coordinate, schedule, track, and report on planned, and unplanned, repairs. This can be anything from changing a light bulb, scheduling a vehicle’s state inspection, to fixing a downed, critical piece of machinery. By using this system, our maintenance staff can improve response times, reduce asset downtime, and increase the useable life of our vehicles and machinery. Having all of this data captured and stored gives management greater control and allows them to see exactly how much is being spent to maintain each piece of equipment. It also allows maintenance personnel to be scheduled more effectively. EMC has received a Radioactive Materials License Amendment to possess Special Nuclear Material. EMC has been granted Amendment 7 to our radioactive materials license. This amendment allows EMC greater flexibility in handling radioactive material throughout our entire campus. Click here to see the license. Click here to see the timely renewal letter. EMC has been recognized again for its environmental stewardship, recently earning a 2013 Hampton Roads Sanitation District Pretreatment Excellence Gold Award. Gold awards are presented to businesses with an outstanding environmental compliance record. HRSD serves a population of 1.6 million in 17 cities and counties in southeastern Virginia. Construction at our shop in Chesapeake, VA is underway. We're expanding our controlled-storage building 5,000 square feet for a total of 15,000 square feet when complete. Construction is on schedule to be completed in late May. Learn more about our controlled-storage capabilities here. The additional expertise will allow EMC to solve complex materials issues regarding pump and motor components. 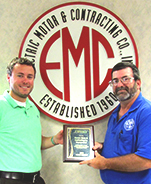 EMC Chesapeake Campus and Courtland Repair Facility Awarded SKF Certified Rebuilder Electric Motor Shops. EMC Chesapeake and Courtland Facilities have been audited and once again awarded SKF’s Certified Rebuilder-Electric Motors certification. 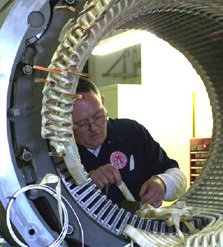 Electric Motor and Contracting was the second company to be award this certification in 1995, when the SKF service facility auditing and classification process began. The auditor findings stated- EMC operates a best-in-class, procedure driven, electric motor service company with competent, experienced and motivated people. 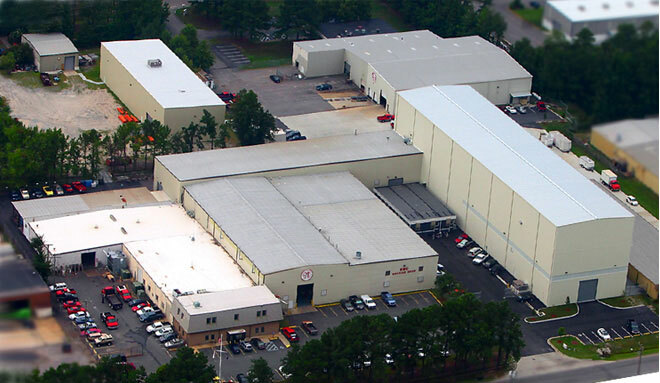 The EMC Chesapeake and the EMC Courtland sites consistently produce high quality repair and refurbishments for a wide range of customer types. EMC’s DX-12 SKF Static Motor Analyzer Baker DX unit offers more capabilities to analyze all insulation and motor circuits in AC and DC motors, generators and coils. The analyzer that EMC recently acquired is the Thermo Niton XL2 Goldd which uses X-ray fluorescence. The Goldd technology associated with this analyzer allows it to see all elements with atomic # 12 and up allowing it to identify all metals except for plain carbon steels. EMC has acquired an MCE (Motor circuit Evaluator) with DC and 5kv Test Options. The tester is a comprehensive static off line motor tester that produces detailed analyses of motor and circuit conditions. The MCE is cost effective, by eliminating untimely costly unplanned outages through proactive predictive maintenance.